To celebrate the launch of their mobile site, Soleheaven is set to restock some popular Air Jordan Retro's. 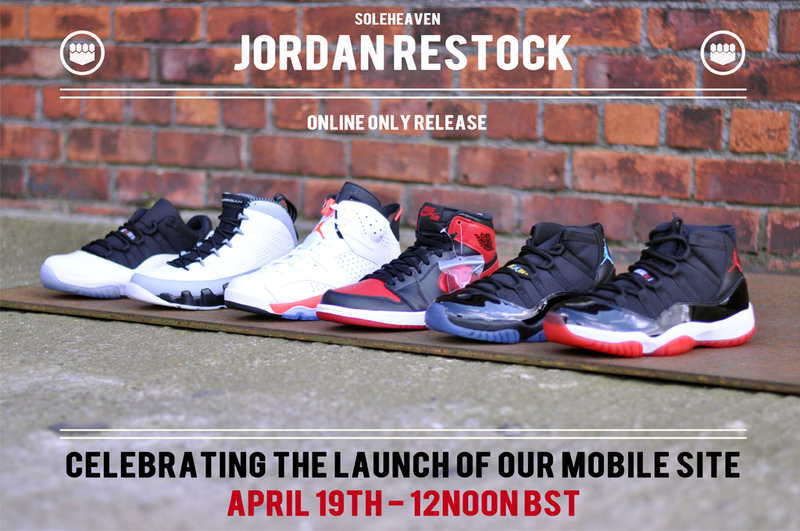 UK-based Soleheaven is set to join in on the Air Jordan Retro restock fun this weekend. However their cause is to celebrate the launch of their new mobile site. Below are the details, straight from the source. We never want you to miss out on the dopest releases, so whether its 23:59, 8am or a 14:00 release we’ve got you covered. Just look out for the tweet or Instagram post and follow the link to our 3-click mobile shopping experience. Everything can be done from your pocket, your bed or even sitting on the toilet hiding from your boss on the release date. Soleheaven Mobile is the epitome of convenience. 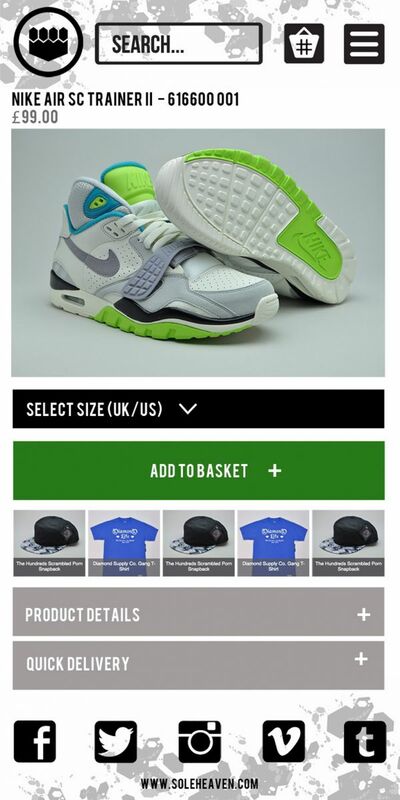 We have looked to incorporate a new design philosophy encompassing crisp imagery, strong branding and official soleheaven camouflage dressing the header & footer of our mobile platform. The camouflage is made up of the individual elements of our main logo we call “Woodypower”. Our logo was inspired by our brand ambassador and the bosses dog - Woody. He’s in the office every day and his paw print inspired the logo. Its Woody’s salute to the sneaker game. Long Live Woodypower! Over the next 6 months our new design philosophy will be rolled across various aspects of our business, including colab’s and a pop-up location we have in the pipeline, so keep your eyes peeled. To celebrate the launch of soleheaven mobile we have pulled together an incredible Air Jordan Retro restock. The restock will take place on Saturday, April 19th at 12pm BST. We know this is heat, and will cause a massive stir so we want the release to be fair for all. Please respect the following guidelines, and don’t get greedy! We have the technology to detect bots. If you attempt to use a bot your order will be cancelled. This goes for re-sellers trying to purchase the whole size curve. Strictly 1 pair per customer. If this is breached we will cancel your orders. Look out for the launch of Soleheaven's mobile site along with their Jordan Restock on Saturday at 7am EST for those in the US.